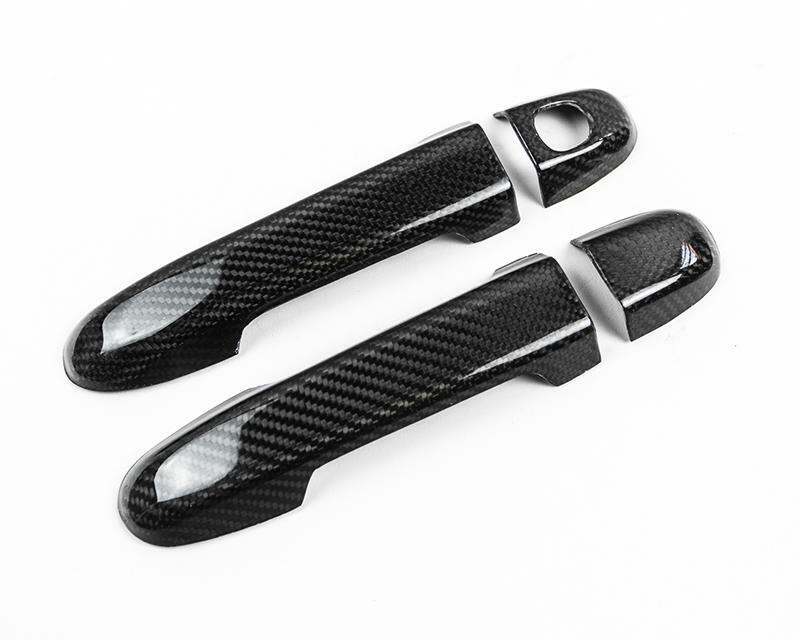 Agency Power Carbon Fiber Door Handle - Dezod Motorsports Inc - Home of the automotive performance enthusiast since 2002. The Agency Power’s Carbon Fiber Outer Door Handle Covers is made from high quality, 3K UV resistant Carbon Fiber and has a gloss finish. The weave is a 2×2 twill pattern. The AP Carbon Fiber Outer Door Handle Covers adds to the looks and improves the exterior appearance.